"The Imperial Army, the most destructive force in the universe. The first ones at the battle sight, and the only ones to leave alive. The objective of the Army is simple; to destroy all who oppose the Vast Empire. 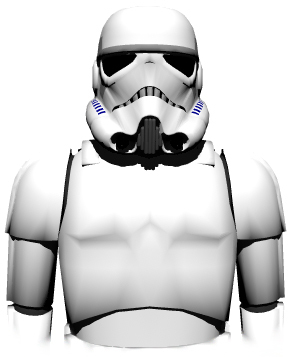 Their creed encompasses all they stand for: "Woe to thee, oh bringers of rebellion, for you shall be sliced by the sword of the Empire, and beheaded by bloody guillotine of Field Marshal..."
The standard issue Stormtrooper Manual has but one purpose: To educate. This databank was taken from the collection of information found in the Academy and condensed into this small book in order for the average trooper to find the answer to his questions quickly. While this does not tell the trooper about everything he or she may need to know, it also helps said trooper find the information elsewhere. If you feel that the manuals need to be updated to include something, inform the High Command. Many resources are from the original manual written by Spartacus. Trooper Specialization information written by Fury.